There are many ways of dealing with an oil spill. 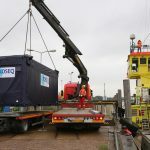 Direct mechanical removal from the water surface is in general the preferred way since it is the fastest solution with the least impact on society and environment. 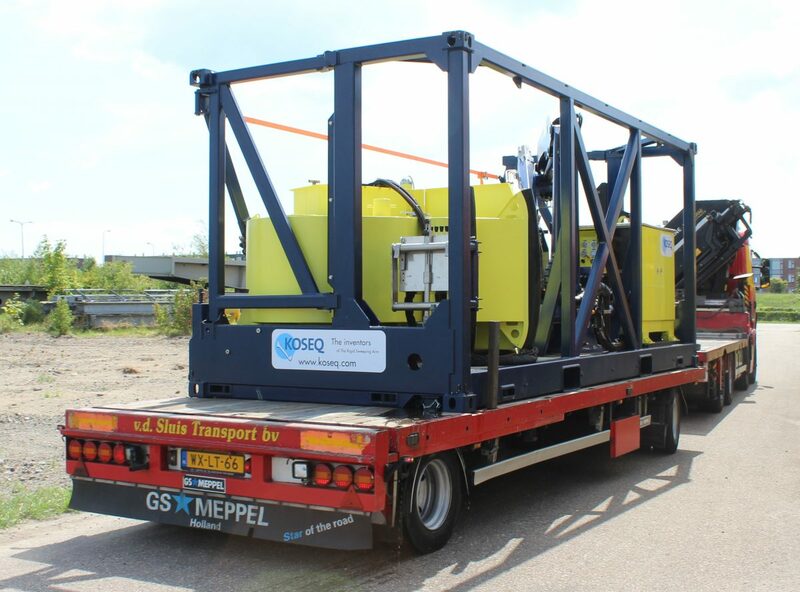 The most effective way of mechanical recovery of oil spills is Dynamic oil recovery. Sweeping arms make dynamic oil recovery possible. 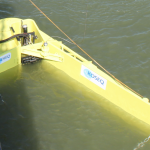 The oil recovery vessel navigates with the sweeping arms on its sides directly through the oil spot and sweeps it off the water surface. The sweeping arms collect the oil between the arms and the ship’s hull and by moving forward a thicker layer of oil is built up in front of them. The oil flows is guided by the arms and flows towards the skimmers in the inner pontoon of the sweeping arm. 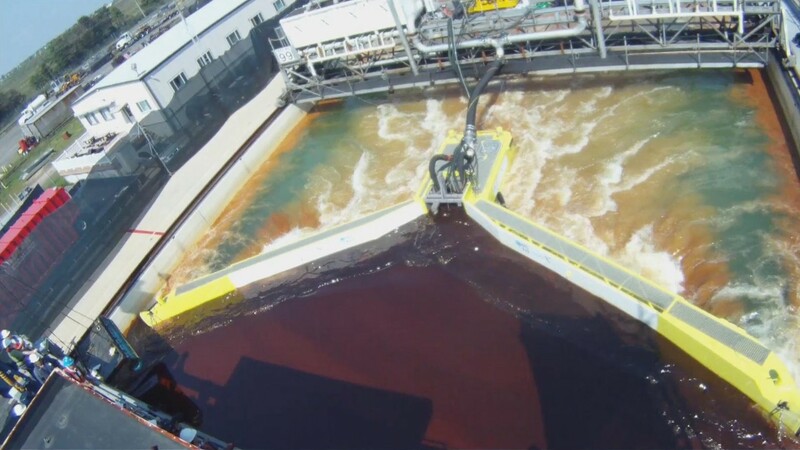 The brush- or weir skimmers directly skim the oil off the water surface and pump it into the oil recovery tank of the ship, leaving a clean water surface behind. The reason why dynamic recovery is so fast is that there is no need to contain the oil before skimming it off the water surface. Because of the forward movement a thicker l ayer of oil is collected in front of the arms and guided towards the skimmer. 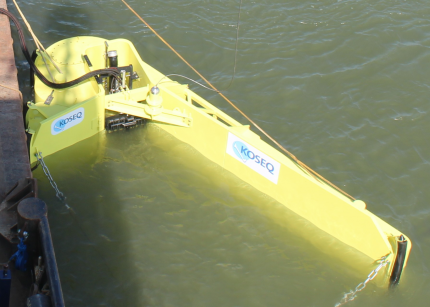 This makes it possible to immediately start with recovering oil as soon as the sweeping arms are hoisted in the water. 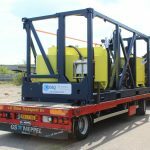 This dynamic way makes recovery of a big spill on open water very fast and effective. 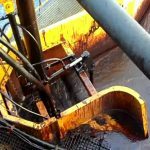 The possibility to quickly start and stop with the recovery operations makes it very efficient to clean a multiple slick spill which consist of several smaller oil spot. Another spill for which dynamic oil recovery is very suitable for is a trail-spill, e.g. from a leaking source in a flowing river. Most accidents happen in adverse weather conditions. Major oil spills in the past like the Erika, Prestige & Deepwater Horizon spills showed that sweeping arms are highly performing in these circumstances, because of their large operating window. For more information on the effectiveness of the sweeping arms see at the EMSA website, the recovery data table below from the EMSA report “Action Plan for Oil Pollution Preparedness and Response” (2004), at chapter on the lessons learnt after the Prestige spill (p. 44). Part of the exceptional performance of the sweeping arm can be contributed to the high capacity oil recovery pumps used in the sweeping arms. The used pumps are able to pump very viscous oils while being insensitive to debris and running dry. 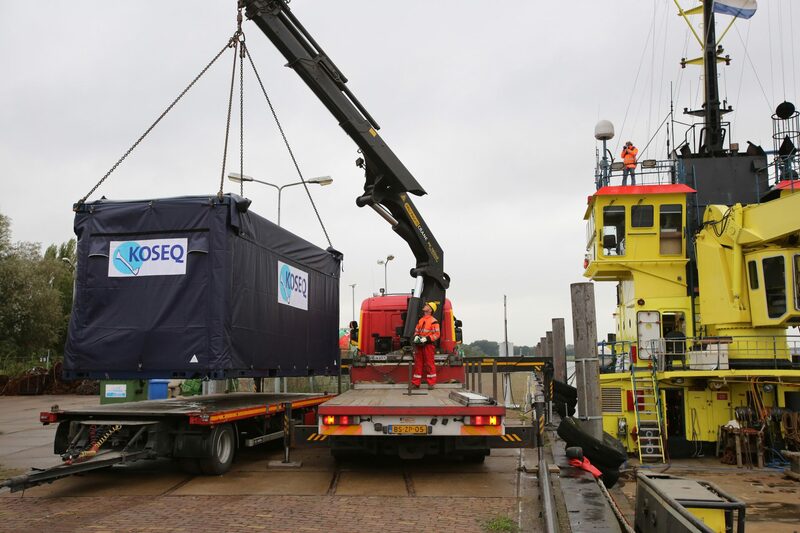 This makes the Koseq pumps very suitable for use in emergency situations. Dutch built quality which proved itself also in the harshest conditions proven to be robust and reliable. Build for years, Koseq sweeping arms have a long life span with low maintenance because the construction material. The system is made from steel with marine coating and stainless steel components like bolds nuts and hydraulic quick couplings. This is why some very early build models still serve and offer preparedness . The sweeping arm system with cranes has a high degree of mechanization which ensures that the total oil recovery process is efficient. 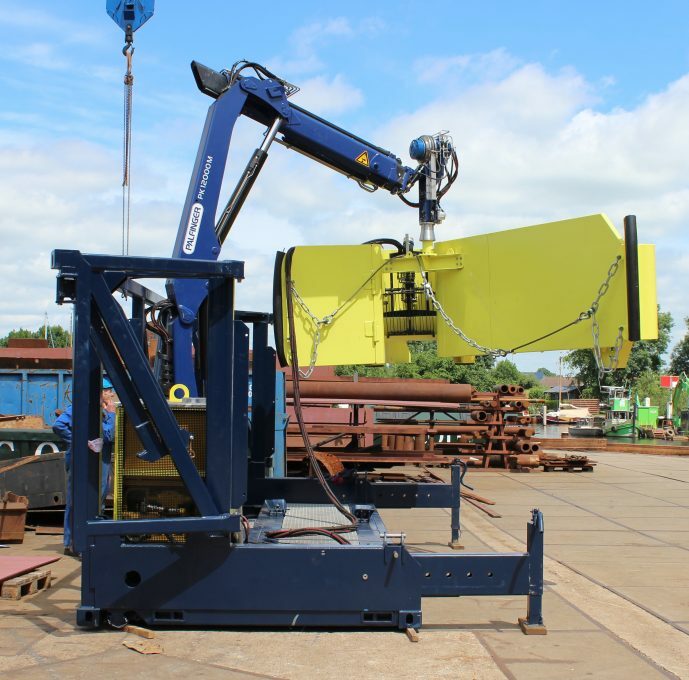 Dedicated cranes make it possible to deploy sweeping arms within minutes. See YouTube movie . Practically, this means you can sail at high speed to the oil slick with the sweeping arms on board and within minutes start the high capacity oil recovery. The high degree of mechanization also makes the system very Safe, easy and efficient to handle. 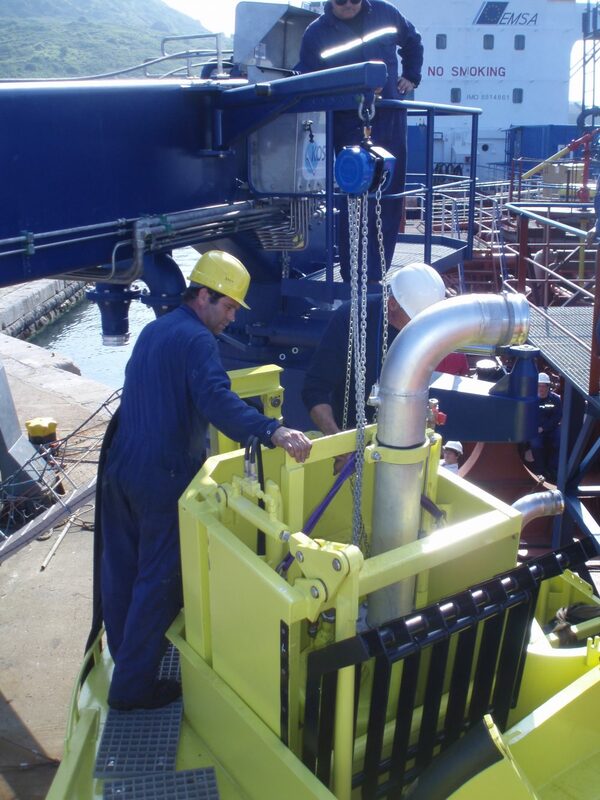 Only one ship & one operator can hoist and operate the system with a couple of hands handling the towing lines. What does a sweeping arm system look like? 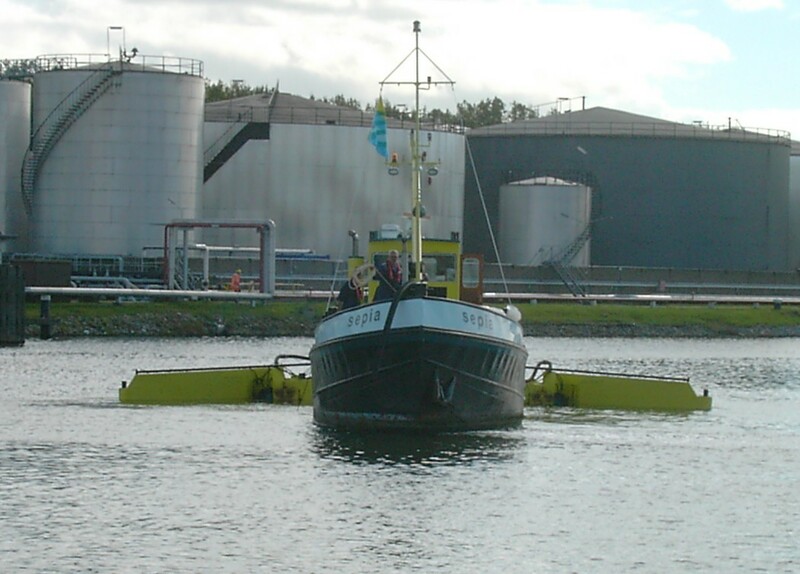 A rigid sweeping arm is a steel construction which consist of two pontoons connected by a bridge piece with oil guiding bulkhead mounted on the front. The length can vary but is usually 12 or 15 meter. Also Compact models as small as 5 meter are available. 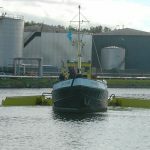 The inner pontoon houses the skimmer-module with usually a brush or weir skimmer, a pump chamber and oil recovery pump. 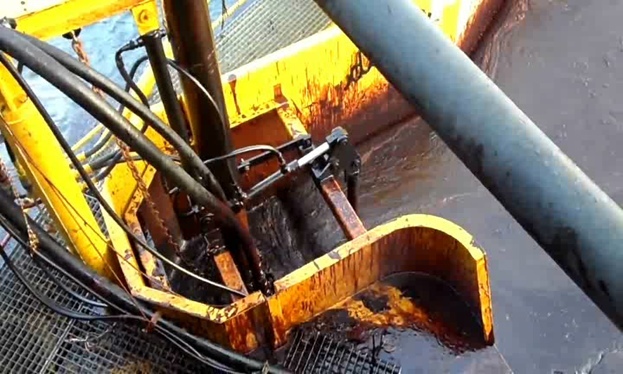 The oil is pumped through flexible cargo hoses to the recovered oil tank in the ship. Different types of brush– and weir skimmers are available. A brush-skimmer is used for minimal water-intake in waves or when sweeping a thin layer of oil. 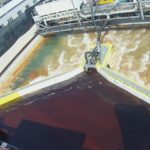 A weir skimmer is available for maximum skimming capacity. The skimmers are height adjustable to the thickness of the oil layer. They are installed as modules and can be quickly exchanged. In front of the skimmer is a self-cleaning hydraulic debris screen mounted. 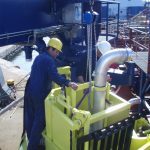 Sweeping arms can be permanently or temporarily installed on a ship and stored on-shore when not in use . They are secured on deck with twist locks and underneath an oil drip tray to prevent the ship’s deck from becoming slippery. 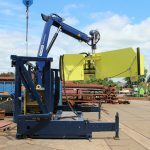 The dedicated cranes place the rigid sweeping arms in the water by an easy, fast and safe operation. On top of the standard crane the operator console is located with controls both the crane and sweeping arm. From this location the operator has good view over the hoisting and sweeping operations. During hoisting the sweeping arm is held in place by two catchers which prevent the sweeping arm from moving excessively during hoisting in heavy weather. 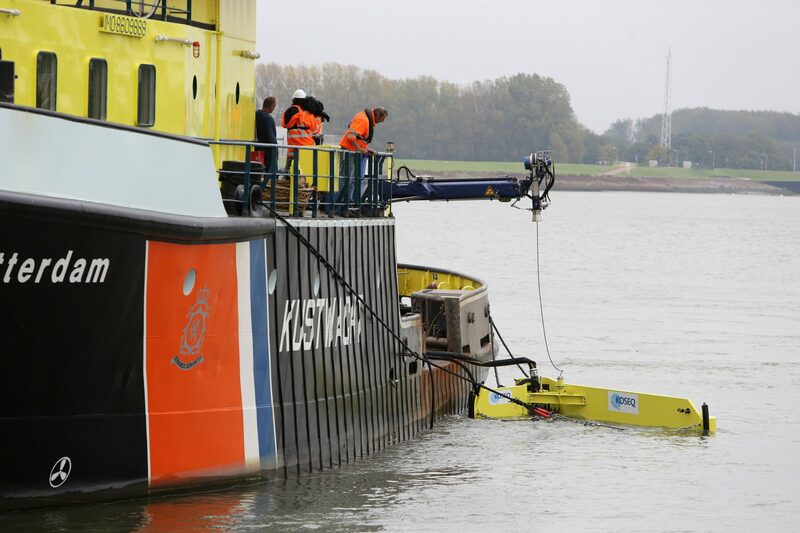 The crane and sweeping arm can be powered by a hydraulic power pack or the ship’s hydraulic system. An explosion proof version is available if needed. See “additional equipment” menu for more information. 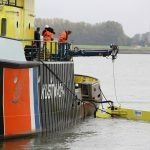 After the power packs are started the sweeping arms can be lowered into the water and secured with predetermined fixed length lines to the ship. This process doesn’t take more than a couple of minutes For a few skilled operators. One person operates the crane and sweeping arm. A couple of hands handle the lines at the start and finish of the recovery operations. The sweeping arms float in the water independent from the ship and are held in place under an angle to the ship by two lines. One line to the bow of the ship to pull it forward. Another line is made to the back of the ship to ensure that the sweeping arm stays against the ship’s hull at all time. Three fenders beside the sweeping arm ensure a leak-proof connection to the hull while protecting the ship from getting damaged. After the sweeping arm is lowered into the water, secured properly to the ship, the skimmer height is adjusted and the pump turned on. The system is ready to start oil recovery. 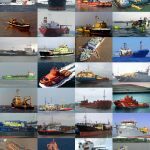 After the recovery operation the oil spill equipment and vessel need to be cleaned. Koseq Sweeping arms are made of materials that can be easily cleaned with for example a hot water pressure cleaner without shortening the lifespan of it. 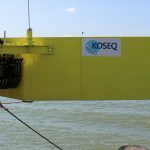 This is one example again of how Koseq equipment will offer effective, fit for use equipment which offers life long protection. To learn more about different models sweeping arms see the model overview page. Infographic Dynamic vs. Static oil recovery. 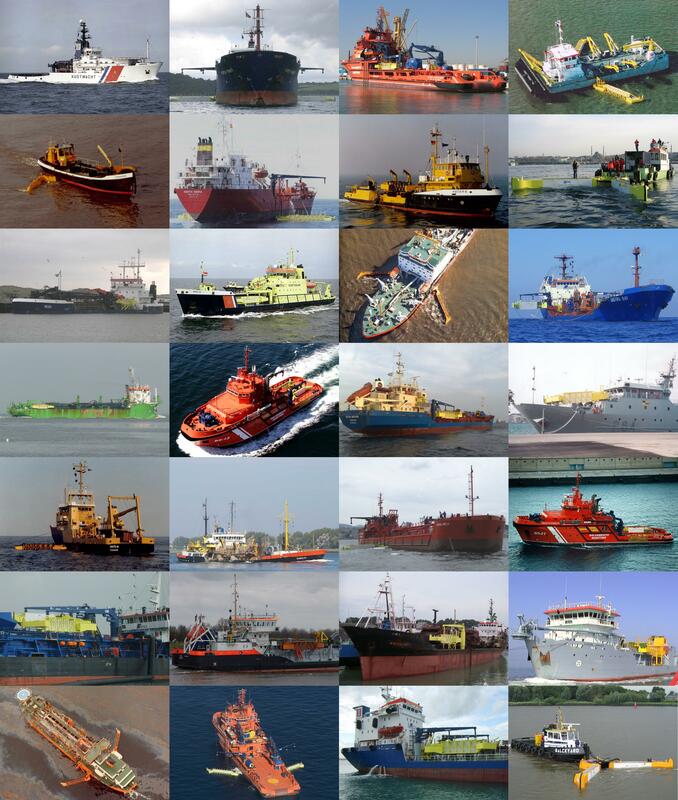 The Arca, first line oil recovery ship of the Dutch Rijkswaterstaat. Find out what model sweeping arm fits best in your situation.